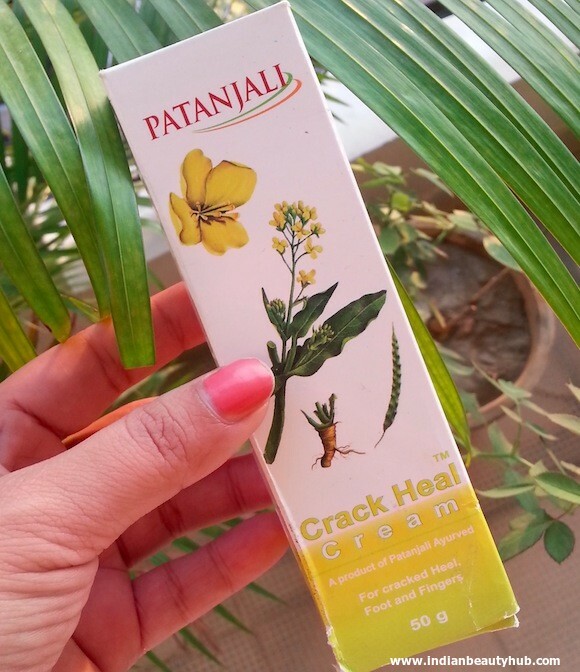 Hey everyone, today I will be sharing my views about a yet another Patanjali product named Patanjali Crack Heal Cream. 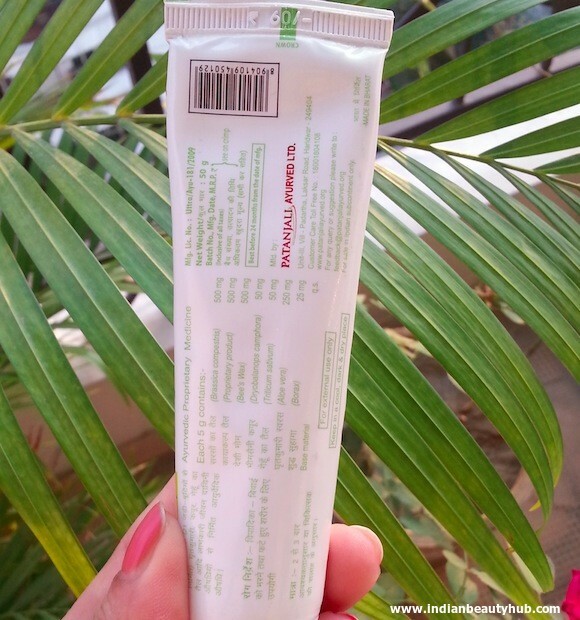 I bought this cream along with some more Patanjali stuff some weeks back. I have fine cracks on my feet and sometimes they become very dry too. This crack heal cream is very effective in tackling these problems. I generally use this cream on my feet during night time before going to bed and get up every morning with soft & smooth feet. 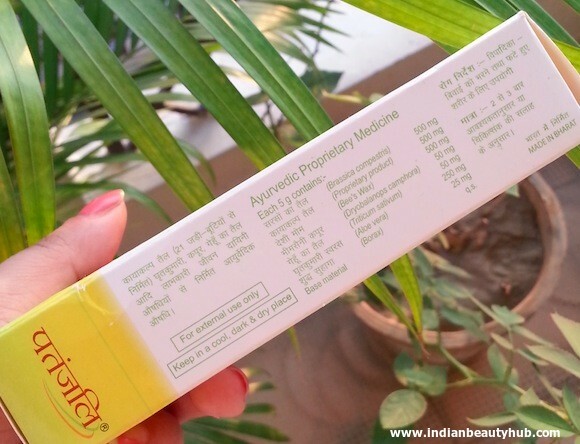 The price of the Patanjali Crack Heal Cream is Rs.60 for 50g. The crack heal cream comes in a hygienic and convenient to use packaging, a white squeeze tube with screw cap. All the product information is given on the tube. It comes in a peach color and has a weird herbal fragrance. It has a thick consistency and contains fine granules, which melts while massaging it on the skin. After scrubbing my feet properly, I apply a generous amount of this cream on my feet and massage it for 2 minutes and then I go to bed and let the cream work on my feet the whole night. 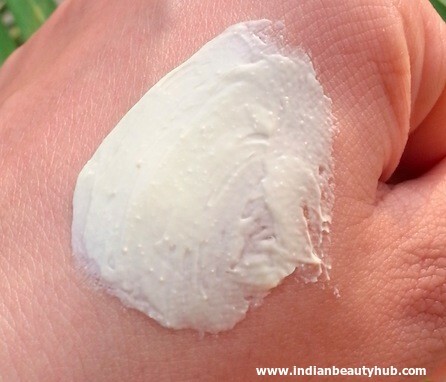 It spreads easily and get absorbed in the skin with a little massage. It provides an adequate amount of moisture to my feet without feeling sticky or greasy. 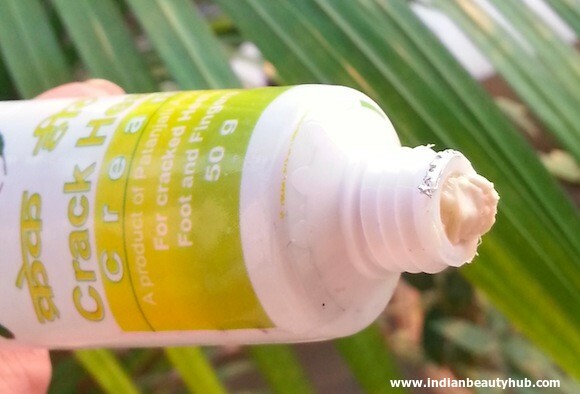 It is very effective in healing painful cracks, controlling itchiness and softening hard tissues of the feet. 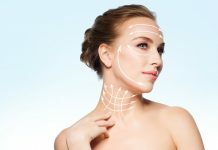 It gives results within a week. A small quantity of this crack heal cream is required during each use and this 50g tube will easily last for 30-40 usages. 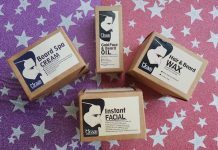 It is enriched with some amazing natural ingredients and is chemicals free too. 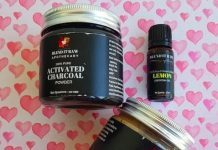 You can also use it on other parts of body like rough elbows & knees. 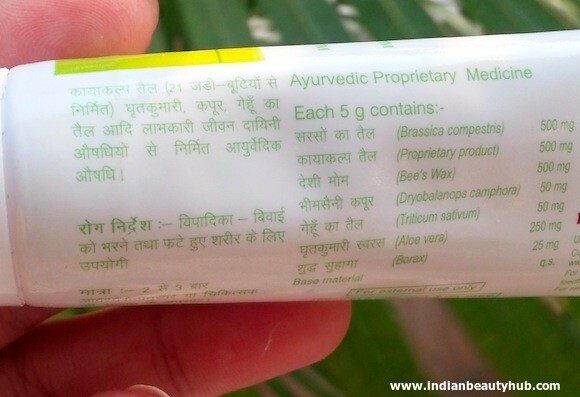 It is very affordable and you can buy it from Patanjali outlets. I really don’t like its pungent smell. This crack heal cream is not easily available at online shopping websites. 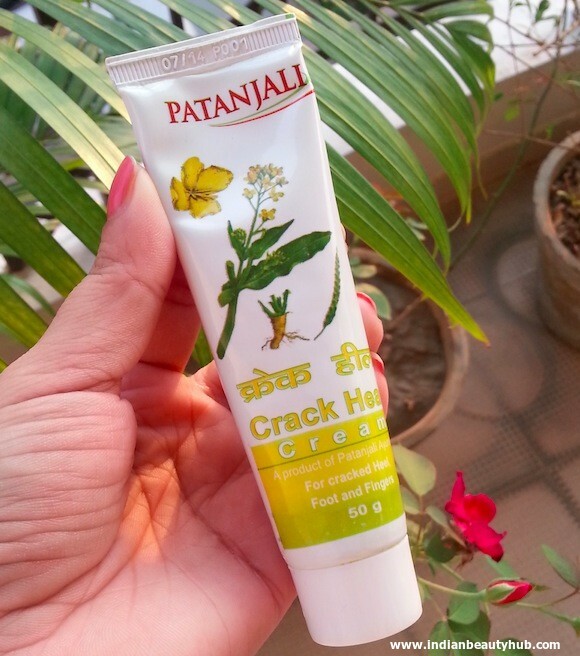 I really like this Patanjali Crack Heal Cream. It is affordable, free from harmful chemicals and is highly effective. It is very moisturizing and makes my feet soft & smooth. I strongly recommend this amazing foot cream to every one and will definitely buy it again and again.